Shawn Lawrence received egregiously belated justice this year. In New York, this situation is far too common, with prosecutors witholding key information not just through misconduct but also sometimes because the system allows a tilted playing field. Antiquated “discovery” rules don’t put strict benchmarks on turning over information, which can make it difficult for a defendant to receive solid advice about the case, negotiate a plea deal or prepare for trial. Some defense attorneys experience the nightmare scenario of not seeing statements from key witnesses until the eve of trial. Whether this happens because of willful prosecutorial misconduct or limited rules regarding quick disclosure, it can amount to wrongful convictions. A 1963 Supreme Court ruling requires prosecutors to turn over material that would help prove a defendant innocent, but prosecutors often don’t face consequences for failing to do so. Other states require quick transfer of relevant information and have penalties for violations, but New York is woefully behind. 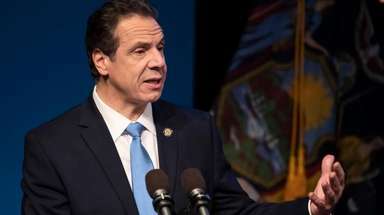 This year, proposals to reform discovery rules were floated around Albany in legislation endorsed by the New York State Bar Association and in a section of Gov. Andrew Cuomo’s budget. Unfortunately, the proposals appear to have lost steam during budget dealmaking, along with crucial criminal justice reforms like reducing the unfair and often unnecessary use of cash bail. If so, solutions must be hashed out after the budget, a potential opportunity for Cuomo to prove his reformer credentials. There are obstacles. District attorneys often oppose discovery reform on the grounds that being required to share some information can endanger witnesses and increase witness intimidation. Sign up for amExpress, the conversation starter for New Yorkers. This is a real concern, especially in gang-related cases, but compromise is possible. The new rules should not allow prosecutors to redact information at will, as Cuomo’s budget originally proposed. The bar association’s suggestion is a good start: If prosecutors think information will endanger witnesses, then get a protective order from a judge, a common practice nationally. With Republican control of the State Senate, broad discovery reform will be a tough sell. Yet the legislature must at least make a start. Some district attorneys, such as in Brooklyn, say they already voluntarily share most information quickly without danger to public safety. This is an issue of balancing the scales of justice. These reforms are too late for Shawn Lawrence, but not for others awaiting trial in New York who are innocent until they are proven guilty.